First up is the Real Techniques Buffing brush. I’m sure this is a favourite of many, but it really is worth the hype! It makes applying your foundation so quick and easy and just ensures your skin is flawless. I’ve been using this since February and our love affair is still going strong. 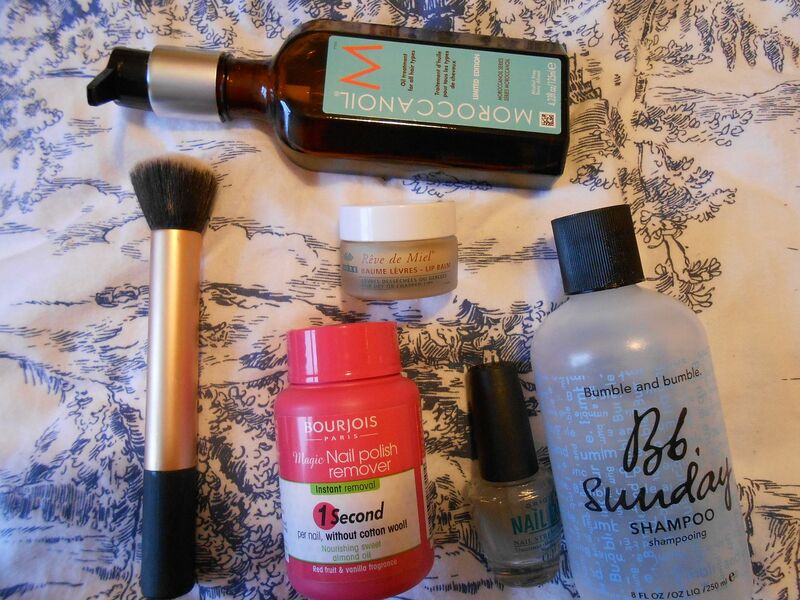 The Bourjois 1 second nail polish remover has been an awesome invention, it just makes taking off nail polish so quickly and effectively. When I do take off my nail polish I always apply a coat of OPI Nail envy – it makes my nails stronger and I love it. This year I found my favourite ever lip balm, the Nuxe Reve de Miel. It makes my lips softer than other lip balm I’ve tried and it lasts a decent amount of time on the lips. It smells like chocolate orange and it’s just awesome. Hair wise, the Bumble and Bumble Sunday shampoo is amazing! It makes my hair squeaky clean and since using this I only have to wash my hair twice a week, which is great as the whole washing/drying thing is such a hassle. Lastly for hair, the infamous Moroccan oil! I run two pumps of this through the ends of my hair every time I wash it, and it definitely helps to condition my bleached ends. Expensive, but I think worth it. 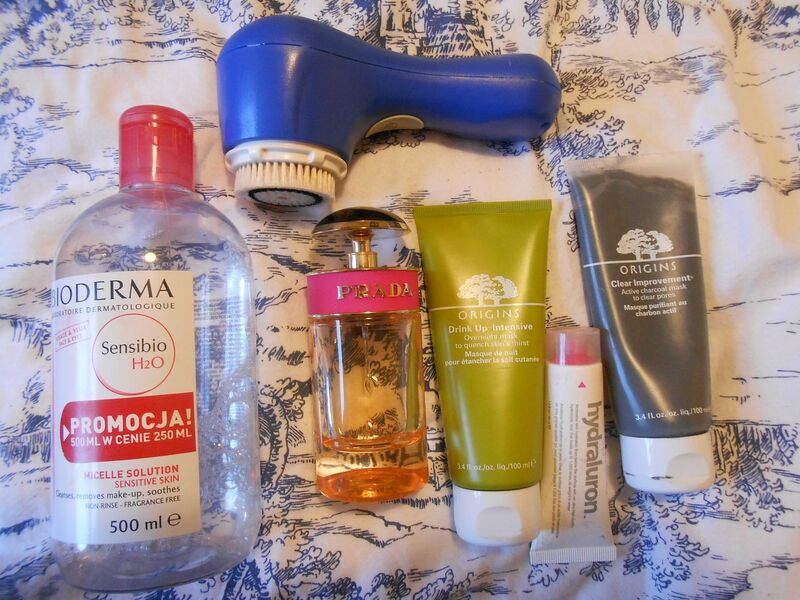 I got my Clarisonic for my birthday in April, and I’ve loved using it. At the moment I try and use it 3/4 times a week in the morning, and it helps to make skin look brighter and feel softer. I love how it’s meant to help your skin absorb the products you use after it much better. This is definitely an expensive tool, but I do love it! The Bioderma makeup remover has been a god-send. It gets rid of all makeup easily without irritating the skin at all. I use this at night to take off the majority of my makeup before cleansing. A fairly recent product but a goody is Hydraluon, which is a hydrating serum that you wear under your moisturiser. I read about it on Caroline Hirons’ blog, and she is the skincare master. It makes my skin soft and it helps to retain moisture. Two masks I’ve loved this year are both from Origins… Love Origins! The Drink it up Overnight is a mask you sleep in, and it’s perfect for hydrating skin overnight. It smells like peaches, and makes your skin so soft and supple when you wake up. The Clear Improvement mask draws all the impurities to the surface and makes you skin feel really clean. I use these both once a week, usually on a Sunday. Lastly, my perfume of the year has to be Prada Candy. I got this last year for Christmas, and I just adore it. It smells sweet but sophisticated, which is just lovely. That’s it, folks! Those are my favourites from 2012! I hope you all have a lovely NYE and I’ll speak to you all next year!